Do you own a home in Poole that features a loft that is not being used? Then why not get a loft conversion completed and make the space into an extra room! At 42 Construction, we will provide you with the best loft conversion ideas in Poole, and then execute your chosen plan with such precision that your expectations will be exceeded. Turning your idle loft into a usable room is a fantastic way to gain more space in your home for your family without having to move house. There are so many different loft conversion ideas in Poole that are available, that you will be blown away with the possibilities! We also promise that by choosing 42 Construction to design and install your new loft conversion that the expected value of your home will increase. 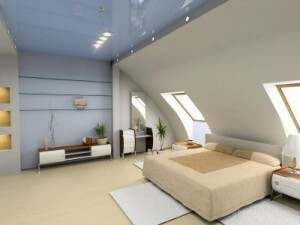 The main feature that people imagine when thinking of loft conversions is the addition of an extra bedroom. Being able to have another liveable room in your home allows for an extra bedroom for a growing family; but did you know that this isn’t the only option that you can choose to install when considering what your best loft conversion theme might be. Below is a short list of some of the inspirational design plans that have made the best loft conversion ideas in Poole homes we have installed over the years. Over the many years that 42 Construction has been in operation, we have designed and created hundreds of loft conversion ideas in Poole properties. Our skilled labourers have then successfully taken these conversion ideas and physically created what was on the blueprints, so your dreams become a reality. Our design team have the best loft conversion ideas in Poole, and you won’t find another company who comes close to our ideas and execution standards. At 42 Construction, we work with your individual design ideas, the existing interior of your home so your new loft is in-keeping, and we also work within the budget that you provide, and we never go over available funds. In order to make sure that we constantly deliver an exceptional standard of work, the team that was have working within 42 Construction are all contractors within our firm, and we never use subcontractors. To become inspired with more of the best loft conversion ideas in Poole that have been completed by the greatest construction company, 42 Construction, view our gallery. So what are you waiting for; to receive the best loft conversion ideas in Poole, along with the highest-quality construction team in the area, speak to 42 Construction today on 0800 270 7764.